Where to Buy a CBD Vape? If you’ve been looking into a CBD vape for some time, then you probably have learned that it might be a challenge to find some good places to buy it. CBD oil vapes used to be highly regulated, but some good news has happened in recent weeks: President Donald J. Trump signed the Farm Bill into law at the end of 2018 which makes hemp legal for production and cultivation here in the United States. This means you’ll be able to buy a CBD vape quickly and easily in the privacy of your own home, without fear of getting in trouble with the law. 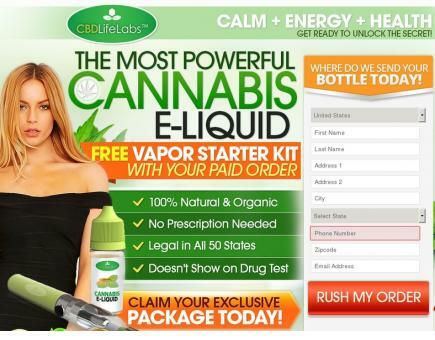 In fact, it’s now become 100% legal to purchase a CBD oil vape through the mail, thanks to the legalization of hemp. Be sure that you know what you’re buying. 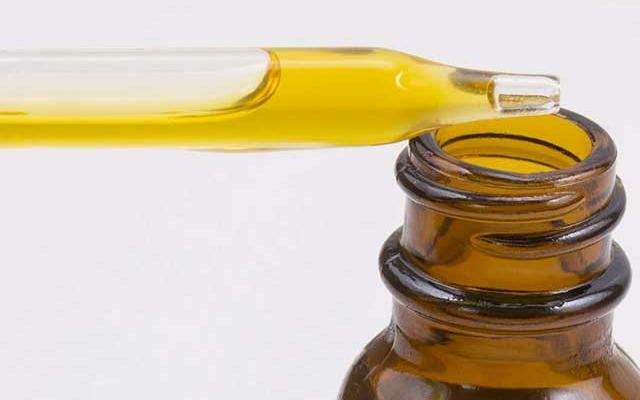 Some companies are selling CBD oil that’s actually derived from cannabis. These contain higher amounts of THC and can give you a psychoactive “high.” This is not good if you’re being drug tested or have to operate a vehicle. 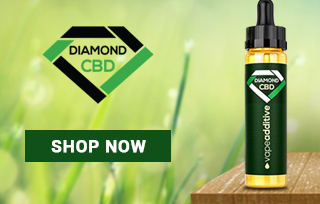 What you want is a hemp-extracted CBD oil vape since there is no psychoactive properties, but you’ll be able to receive the great benefits of the cannabidiol in your vape. Be careful about where you’re buying these vapes, since some dispensaries may not care to stock hemp-extracted CBD. You need to be a little careful about buying your CBD from just any manufacturer. There have been a lot of manufacturers popping up online out of nowhere as this is like a modern day gold rush to put products in consumers’ hands. This is why you should take steps to read about each product carefully. When it comes to buying a legit CBD oil vape product, you’ll want to see the price you receive for the potency. Obviously, the more potent and/or pure the cannabidiol (CBD) oil, the higher the price you can expect. Be sure that you read product reviews carefully. We’ve done a lot of research for you to teach you how potent some of these brands actually are. There are several steps we take to determine the quality of a CBD oil vape brand. First, we visit the website and make sure that they are representing things in a factual manner. Are they making outrageous claims? If so, that’s one red flag. Next, we read the independent lab reports that some manufacturers provide us. We’ll read the reports to see what compounds are inside of the lab samples, and can determine if the CBD quantity is overstated (which it is sometimes!). Lastly, we’ll try it ourselves. We’ll see how it tastes, and will see if we feel any different after using it. Our team of independent testers do NOT know what brands they are trying when they receive their sample. This makes sure that they are unbiased when giving us their reports. You can buy from some fantastic brands online. We’ve written some in-depth reviews on a handful of companies whose CBD we can wholeheartedly recommend to our readers. We have dozens of additional reviews that will be coming out over the coming weeks, so stay tuned for more! If there’s a brand that you’d like us to review, please use the contact form on our site to let us know. Vape Bright is the latest brand we’ve reviewed for our audience. Based in Carlsbad, CA just north of San Diego, Vape Bright has built a team to help “(share) the news about the healing power of CBD oil.” In this review we’re going to take a look at their product offerings, explain what each one contains, as well as break down what we see as the pros and cons of the Vape Bright brand. The Regular Strength Thrive vape cartridge comes in a 200 mg size, and currently retails for $45.00. According to the label, this product contains 20 “servings,” which equals approximately 200 inhalations. 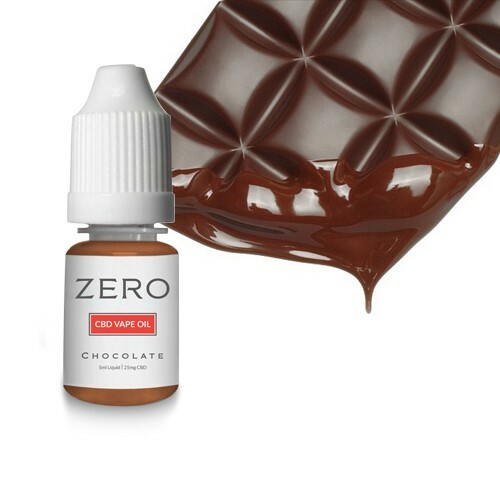 The “serving size” is 10 inhalations, so you’ll breathe in the vape ten times each time you want to receive your CBD oil. When looking at the label, we see that the Regular Strength Thrive vape cartridges contain 15mg of their “proprietary oil,” which contains terpenes, MCT oil, and organic hemp oil. An additional 10mg contained in the formula is cannabidiol. The Extra Strength Thrive vape cartridge comes in a 250mg size, and at the time of this review has a retail price of $55.00, on sale from it’s normal price of $65.00. The Extra Strength size contains 25 servings at approximately 8 inhalations each, for a total of 200 inhalations per cartridge. The label for the Extra Strength contains 10mg of their proprietary oil and 10mg of cannabidiol. If you’re just getting started into the world of vaping, you can purchase one of Vape Bright’s Starter Packs. They come in 2 different packages, one in Regular and another in Extra Strength. Both Starter Packs provide a carrying case that contains a Vape Bright charger and battery. This battery acts as your actual vape pen, using the 510 thread to screw the cartridge onto it. Just charge up your battery, then screw the CBD cartridge, and inhale. One of the reasons we like these batteries is because you don’t have to push a button in order to activate it. We’ve found that sometimes the batteries or pens that require a button push to activate eventually break, rendering your vape totally useless. This “inhale only” style of vape also ensures that the oil you’re using doesn’t get too hot in case you lay the pen face down and accidentally activate the push button. Since there’s no push button, you’re safe from burning up all the oil in your pen! Their battery boasts “100 inhalations” per charge, so you should get plenty of use out of it until you have to charge it again. Nobody likes a battery that lasts just a few puffs! Pro: Company is incredibly transparent. Ownership and key members of their team are listed on their website. Pro: Address, phone number, and customer service information is easily accessible. Pro: Compliant packaging, lists all their ingredients, and clearly explains the amount you can expect to inhale per cartridge. Pro: Transparency on their 3rd party lab reports. Pro: Many reviews per product, not all of them are “5-star, glowing” reviews – honest customer feedback included. Now that we’ve listed the positives, we’ll point out a couple of the negatives we’ve spotted. Con: Pricing is inexpensive, which may keep some people who want to try CBD oil out of the market. Con: 5-pack pricing is only saving customers $20. We’d like to see a bigger discount for a larger purchase. In the Wild West of the Internet, it’s easy for companies to setup shop overnight, take advantage of a hot market, make some money, then leave behind a trail of unhappy customers. Vape Bright is the opposite. They’ve done a great job of establishing themselves as a reputable company, making it quick and simple for anyone to get a hold of them. Next, Vape Bright has conducted independent, 3rd party testing of their product to check for quality. That’s a rarity with online brands. Even though their pricing may be a little bit higher than we’d like, we want to remind you that often times we get what we pay for. It’s for this reason, that we’ve rated Vape Bright a 9 out of 10. What is CBD Vape Oil and Should You be Using It? CBD oil has been a hot topic for the last few years. The legalization of this controversial substance has a massive number of supporters from all across the nation, but also an equal amount of opponents. Cannabidiol (CBD) has been shown to have some health benefits, at the same time, it could possibly pose risks for some users. Initial studies seem to show that the good far outweighs the bad when it comes to CBD. Products that contain the substance are now legal and widely available in several states where marijuana is not. This article will help those who are unfamiliar with the compound understand what CBD is, its reported health benefits, potential risks, how it is used, and the issues currently surrounding its legality in the U.S. Many people often confuse CBD with THC, often not realizing there is a difference between the two. The marijuana plant contains both CBD and THC, but these two have very different effects. Cannabidiol, most commonly referred to as CBD, is one of the non-psychoactive compounds found in the cannabis and hemp plants. Meaning, it doesn’t get a user high or have mind-altering effects. However, CBD does appear to cause notable changes in the body, and some medical benefits. The greatest number of products come in the form of concentrated CBD oils. The most popular way to consume these oils is by heating and inhaling through a Vaporizer, Vape Pen, or an E-Cigarette. On the other hand, THC does create a psychotropic high when broken down by heat and inhaled into the body. This can happen by smoking marijuana in a variety of ways or when it is used in cooking. All cannabinoids, CBD included, produce certain effects internally by attaching themselves to specific receptors. The human body produces certain cannabinoids naturally on its own, and it also has two cannabinoid receptors, referred to as the CB1 receptors and CB2 receptors. CB1 receptors can be found throughout the brain and body. The CB1 receptors located in the brain handle things like mood, emotions, pain, thinking, appetite, memories, movement and coordination, among others. These are the receptors that THC compounds attach to. CB2 receptors are found more frequently in the immune system. They register pain and inflammation. At one time it was thought that CBD latched onto these CB2 receptors, but it has been discovered that CBD does not actually attach to either receptor. Alternately, it appears to encourage the body to produce and use more of its own natural cannabinoids. As previously mentioned, vaping CBD oil is one of the more popular methods for consuming. Commonly used to ease side effects of certain ailments, illnesses, and diseases, including Leukemia, most forms of cancers, inflammation, joint pain, stress, anxiety, mental health issues, seizures, sleep disorders, high blood pressure and so much more. There has also been promising evidence suggesting that CBD use may help people to quit smoking and lessen withdrawal symptoms of certain illicit drugs. There are numerous benefits attributed to CBD vape oil. 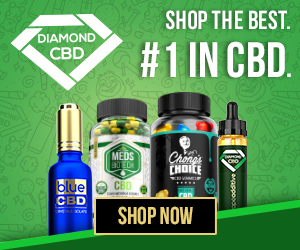 However, the effectiveness of CBD, even after countless studies, has yet to be scientifically proven, and many trials are still in the very early stages. Since scientists are still in the beginning stages of research development, CBD hemp oil vape should be thought of as more of a preventative tool, rather than a cure. Primarily, lower doses are recommended for healthy individuals interested in preventative care, while higher, more potent doses are used to combat specific diseases. Naturally, it is highly recommended to talk to your physician regarding dosage per day, never just assume what is best for your situation. It has been noted, based on customer testimonials, that you can use CBD oil as often as you wish and as many milligrams per day that your body can handle. The reasoning behind this is since vaping CBD oil doesn’t result in you getting high, basically you are only partaking in the medicinal advantages of CBD vape oil. But again, talking to your doctor first is always best. According to regular users, there are fewer CBD vape oil side effects in comparison to other methods of administering, like CBD patches, concentrates and capsules. When compared to smoking or vaping, orally ingesting cannabinoids can have certain disadvantages, including delayed release and inconsistent absorption. A few more positives, CBD vape oil is not addictive and you cannot get high from its use. You will not experience any paranoia, munchies, cottonmouth, or red eyes. If you are interested in CBD vape oils you may have heard of Propylene Glycol. What exactly is Propylene Glycol? There has been significant increase in concern over the effects and hidden dangers of breathing the chemical propylene glycol, which has been used extensively as a mixture in CBD vape oil. 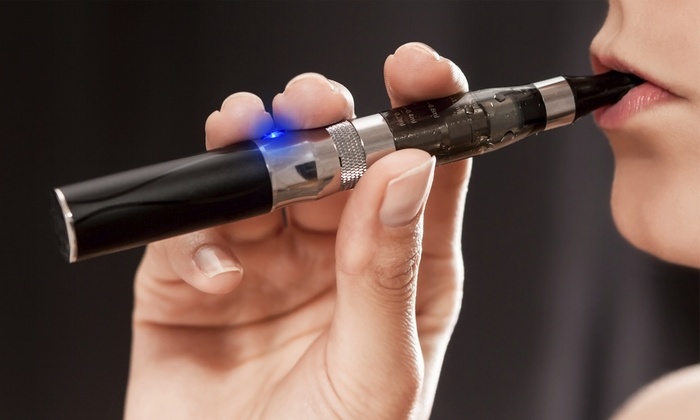 Propylene glycol is a liquid thinner that is commonly used in antifreeze and de-icing products, and is also the main ingredient in most nicotine based e-cigarettes. At higher temperatures, propylene glycol turns into toxic biproducts that are known for causing damage to the throat and lungs and known to cause asthma, cancer, and other illnesses. The U.S.D.A. has labeled propylene glycol safe for light ingestion, topical application, and recognized it as safe when used as an additive to food. This is classified as safe based on the low oral toxicity, which is very different from heating and inhaling propylene glycol into the lungs. It should be noted that not all CBD vape oil manufactures use this chemical in their product. If this is a concern for you, researching the ingredients before you make a purchase is recommended. Marijuana is legal for either recreational or medical use in certain states. Some states have approved the use of CBD oil, considered as a hemp product, but not the overall use of medical marijuana. Current marijuana and CBD legislation in the U.S. can be quite confusing, even in those states where marijuana use has been legalized. Some Federal and State laws seem to contradict each other. The number of states that do not recognize marijuana as a legal substance, but have laws directly related to the use of CBD oil is continually growing. Depending on your state, you may be required to obtain different levels of prescriptions to use and have possession of CBD oil. All areas are different, so research your local state laws. Currently most states do require a prescription. Most would agree, if you look at the whole CBD scenario with an unbiased open mind, using the compound has primarily positive advantages. There are an endless number of CBD oil supporters who swear by its benefits. If you are someone who suffers from debilitating conditions, such as anxiety, epilepsy or cancer, CBD vape oil may be well worth a try.